DETROIT (Reuters) -- Delphi Automotive reported earnings that slightly beat Wall Street expectations on strong performance of its electronics and safety systems as well as powertrain businesses. Net income rose 13 percent in the quarter to $344 million, or $1.16 cents per share, from $298 million, 97 cents per share a year earlier. Revenue for the quarter fell by $30 million, or 0.7 percent, to $4.15 billion, which the company said would have been up 2.8 percent if foreign currency exchange and commodity prices had remained constant. Delphi's results were intended to be issued on Thursday morning but a company spokesman said a website provider mistakenly released them Wednesday night. Operating profit margin for the automotive supplier for the quarter was 12.5 percent, up from 11.3 percent a year earlier. "Delphi hit it out of the park on margins," said Morgan Stanley analyst Ravi Shanker, particularly for its powertrain and electronics and safety businesses. The electronics and safety business includes sensors involved in the evolution of autonomous driving. 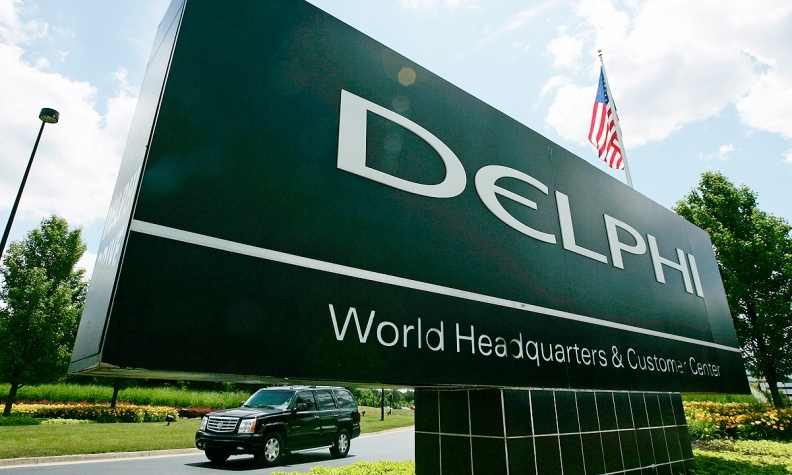 Excluding special items, Delphi earned $1.32 per share in the quarter, beating the $1.27 per share that on average was expected by analysts polled by Thomson Reuters. Revenue fell 18 percent in South America and 11 percent in Europe while rising 10 percent in Asia and 6 percent in North America. Business booked last year totaled $25.1 billion, which was split about evenly between Asia, Europe and North America, followed by 4 percent in South America, the company said.